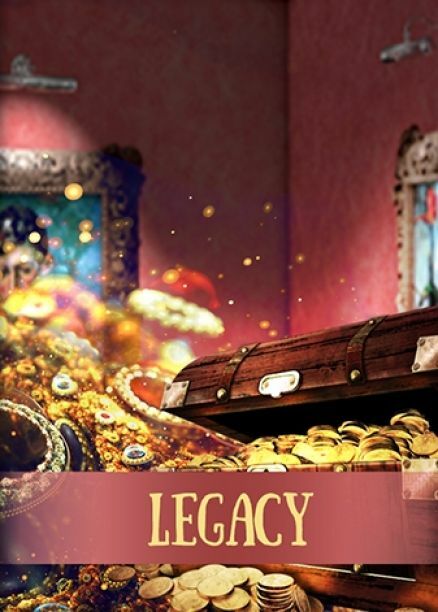 Have you ever dreamed of being the heir of a legacy? Don't worry, we all did it even if we don't always admit. And, like you, we came back pretty quickly with our feet on the ground. Legacy gives you the opportunity to be the heir of an invaluable fortune, just as you have imagined so many times. But to prove yourselves worthy of it, you have to meet a number of mandatory requirements: to use your logic and be open minded, to solve the mysteries encountered, to beat the time and have fun with your friends. On the way, you may understand that there are more important things in life than money and treasures falling from the sky. Wealth and fortune will seem to be at your fingertips, but will you manage to overcome the challenges you encounter? Will you discover the things that really matter? Accept the challenge and discover the legacy!